True story: I used to live across the street from Trader Joe’s. This was both good and bad at the time, but now the memories are only fond. 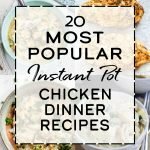 I still visit when I can, and today I decided to share a list of things that could totally save you some time during your next meal prep session. From the base of your next southwest chicken salad, to cauliflower & veggie stir-fry calling for your favorite protein, it’s all right here. PLUS, check out the extra recipe ideas to give you some starting places for next week’s meal plan. 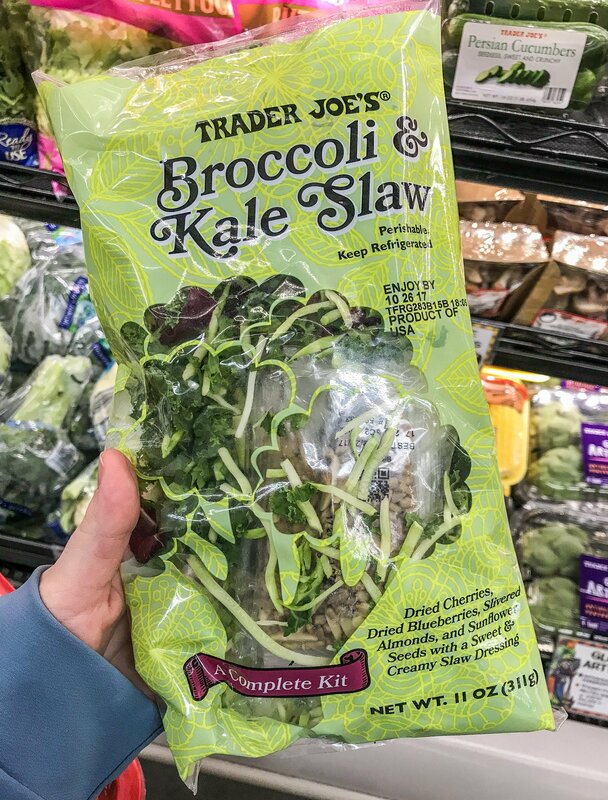 Here are the 9 Best Products to Meal Prep from Trader Joe’s! 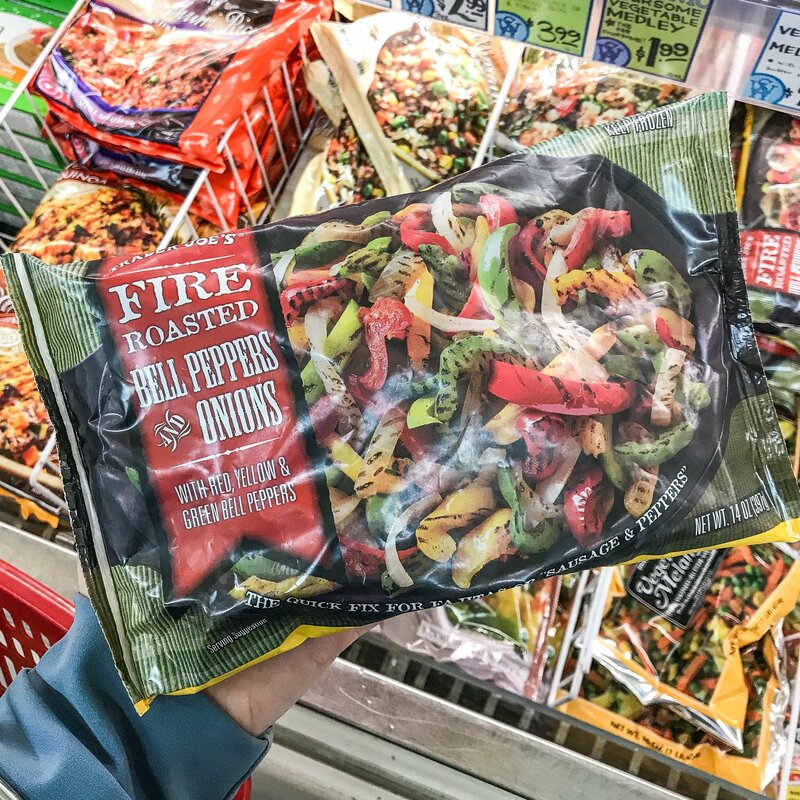 Skip literally all the chopping with these pre-cooked (fire roasted if we’re being technical) and ready to use peppers + onions. I’m thinking fajitas, or maybe over some bratwurst? The best part – they’ll stay in the freezer until you’re ready to heat them up and put them to good use. Greens, dried fruits, almonds, sunflower seeds, AND dressing all packed into this thing. Talk about saving some serious time cutting, cleaning, mixing. Thanks TJs! Pair with chicken or bulk up with more veggies for a few good salads prepped and ready to go! Change up your meal prep routine and head for lentils instead of rice or quinoa. 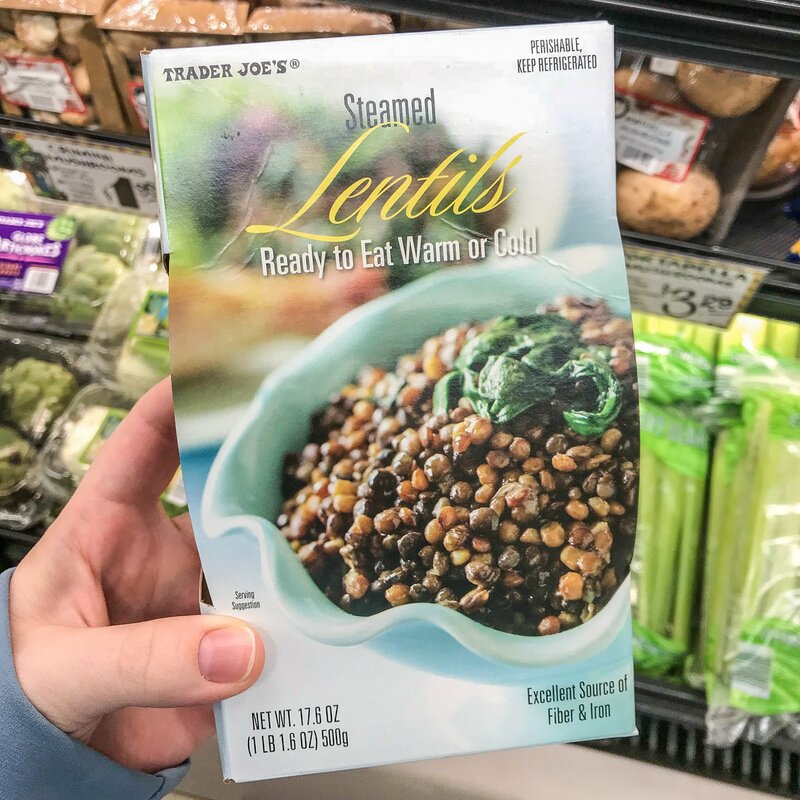 Maybe I’m just really bad at cooking lentils, but this seems like an awesome shortcut. They’ve got more protein than rice, and can help lower your blood pressure. My personal issue with riced cauliflower is the fact that I have to clean appliances after I make it. But not today! 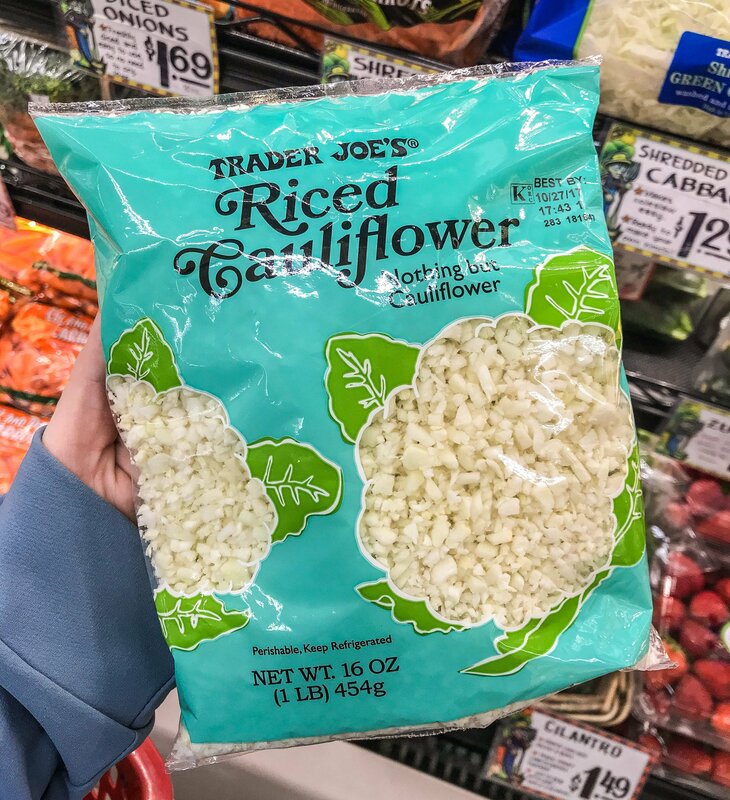 This package contains ONLY cauliflower, and can be used for any of those riced cauliflower needs. It’s a no-brainer. 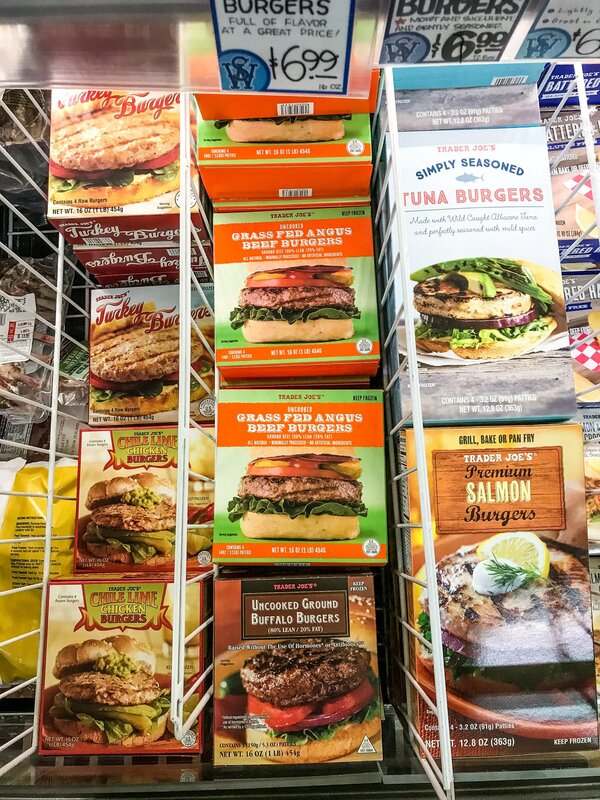 Pick your favorite burgers, cook them up ahead of time, and have an easy lunch or dinner that’s basically done. Go for lettuce buns, pretzel buns, all the toppings, no toppings, or just a simple patty cooked how you like it. Easy! They’ve got turkey burgers, chicken burgers, buffalo burgers, beef burgers, salmon burgers and tuna burgers. 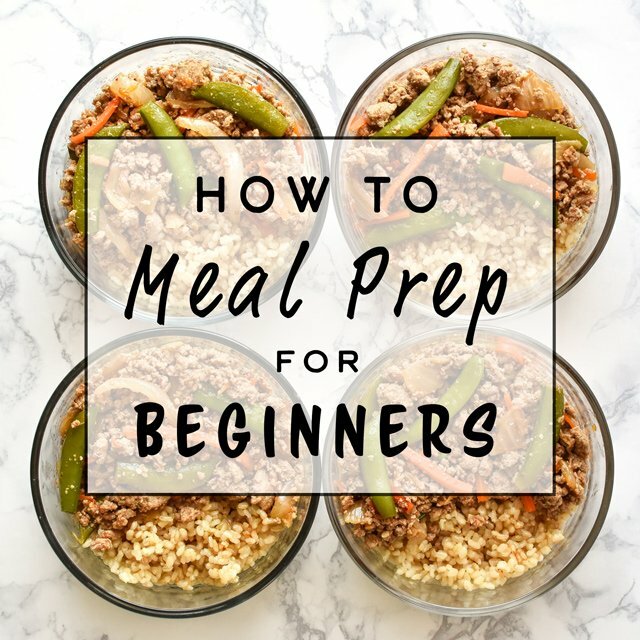 Okay, not so much prep here, because they’ve basically done it for you! 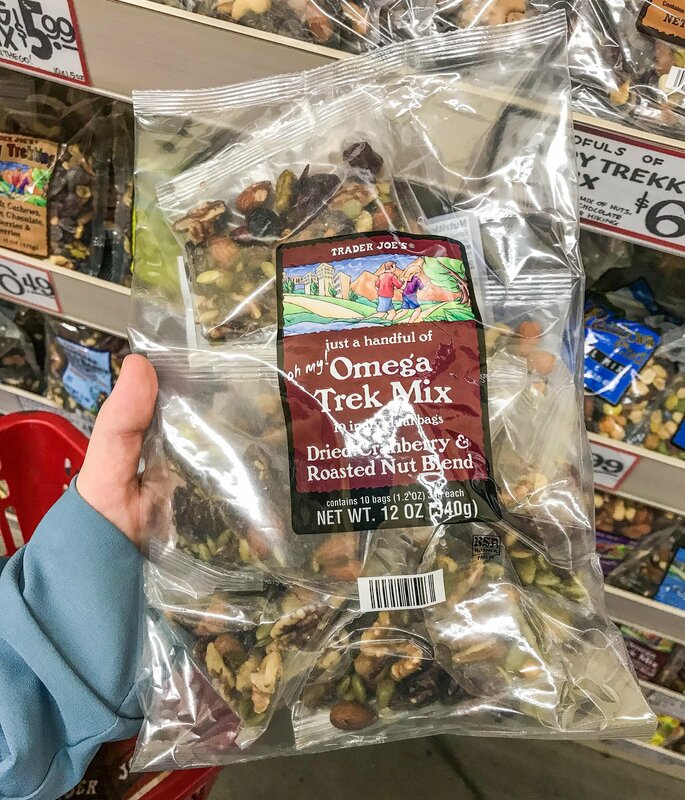 If you’re one of those people that can’t help but keep reaching into an open bag of trail mix (ME), these snack-sized pre-portioned trail mix packs are for you. 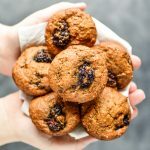 Plan healthy snacks so you don’t have to stop and buy something! If you have more time, try making one of these recipes at home. Instead of using plastic baggies to portion out your snacks, try a Stasher bag! This is probably the best-looking pre-seasoned main dish I could find in the entire store. You could pick this bird up on Sunday afternoon, roast it up for dinner, and then have chicken to last you for the next couple dinners. Plus, it’s already pre-seasoned and butterflied. Sounds like the hard part is done for you! This salad just needs a little bit of protein and then it’s basically a whole meal. Separate it into four portions, and you’ve got lunch for the week. It would be perfect with some BBQ chicken and tortilla chips! Or stick with the spicy avocado dressing and some plain chicken breast. 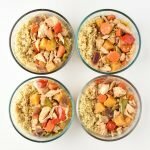 Talk about an easy meal prep! 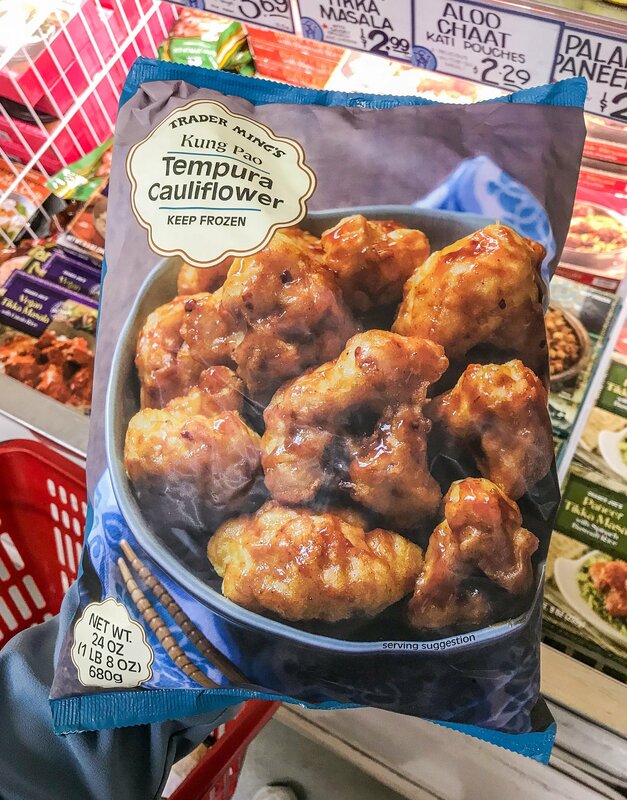 My plan for the tempura cauliflower currently chilling in the freezer? Some kind of build-a-bowl workshop – chicken, sauteed veggies, mix it up, and boom. Dinner with a new side dish I bet you haven’t tried. Prep some bowls for the week, or pair with dinner any night of the week. That’s all folks! Thanks for taking a peak into my latest shopping adventure. 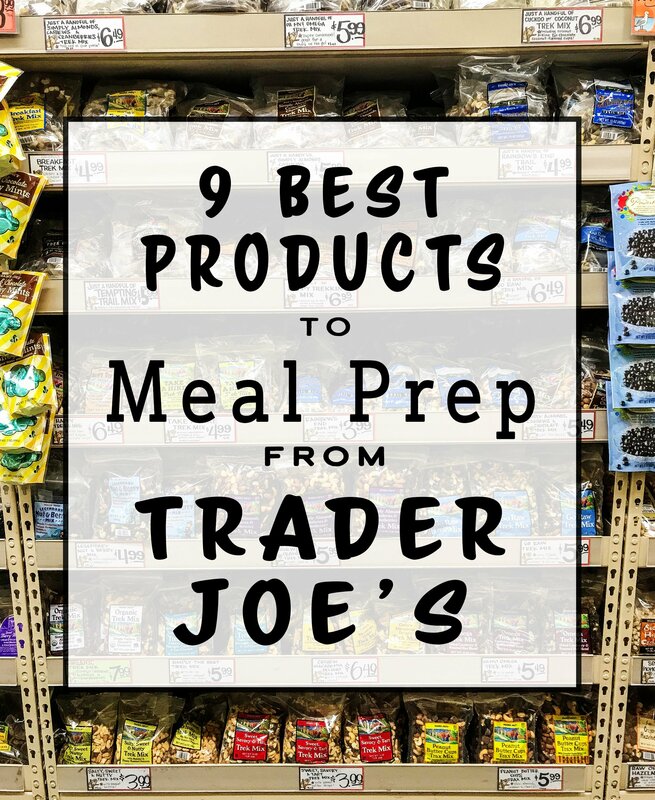 Hope you found something good in the 9 Best Products to Meal Prep from Trader Joe’s. 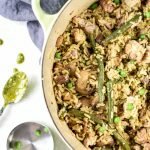 I also like to shop at Costco, and made a list of 7 Things From Costco That Make Meal Prep Better. 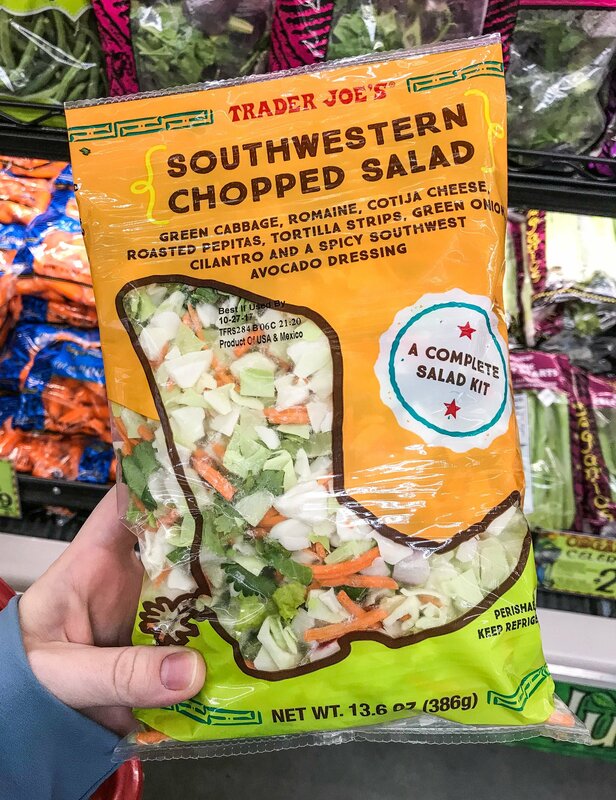 What’s your favorite thing to meal prep from Trader Joe’s? Let me know in the comments! 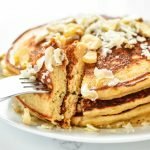 Disclaimer: I have no relationship with Trader Joe’s and was not compensated in any way for writing this post. I just really like Trader Joe’s! We just moved to a city with a Trader Joe’s and it has been great getting to know the products. They are all wonderful! 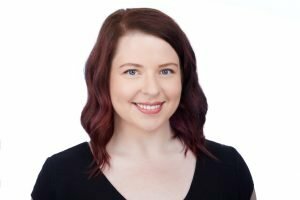 This post is a big help and I have not seen several of these before. I want to find that butterflied chicken! I’m so happy for you Kristen! Is that a thing I can congratulate people on? 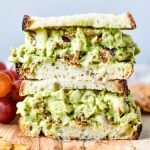 Moving nearer to Trader Joe’s should be considered an accomplishment 🙂 So glad you found this list useful! 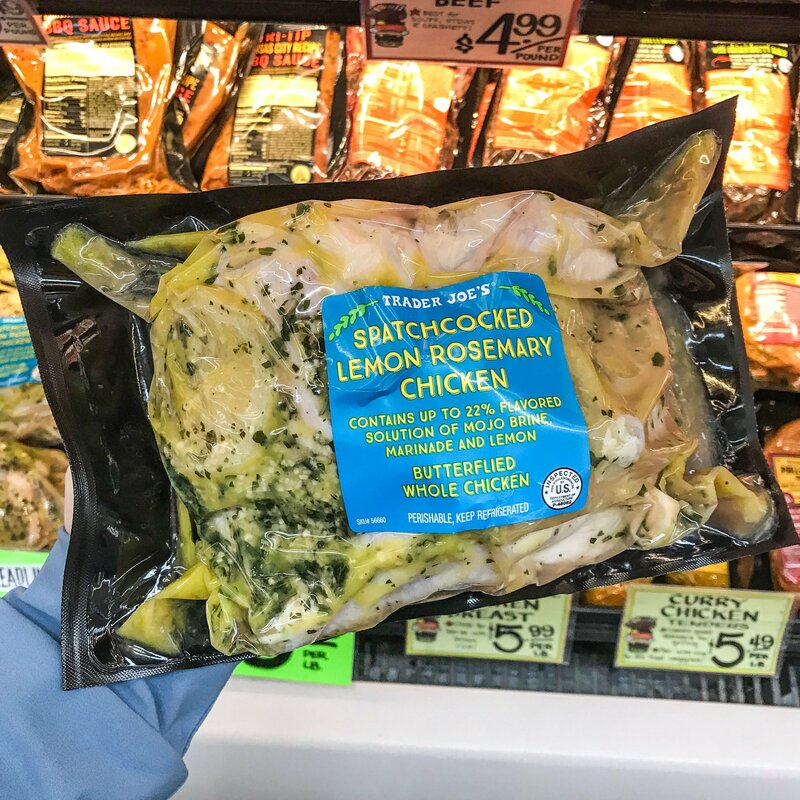 The butterflied chicken is normally on the bottom shelf of the refrigerated raw meats at my Trader Joe’s. I’m positive it’s a year-round item so I hope your store carries it! Good luck!